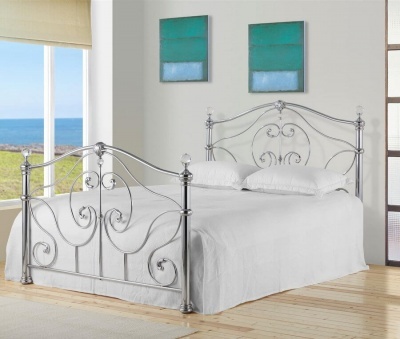 Curved head and foot-boards give a soft look to this stylish metal bed frame. 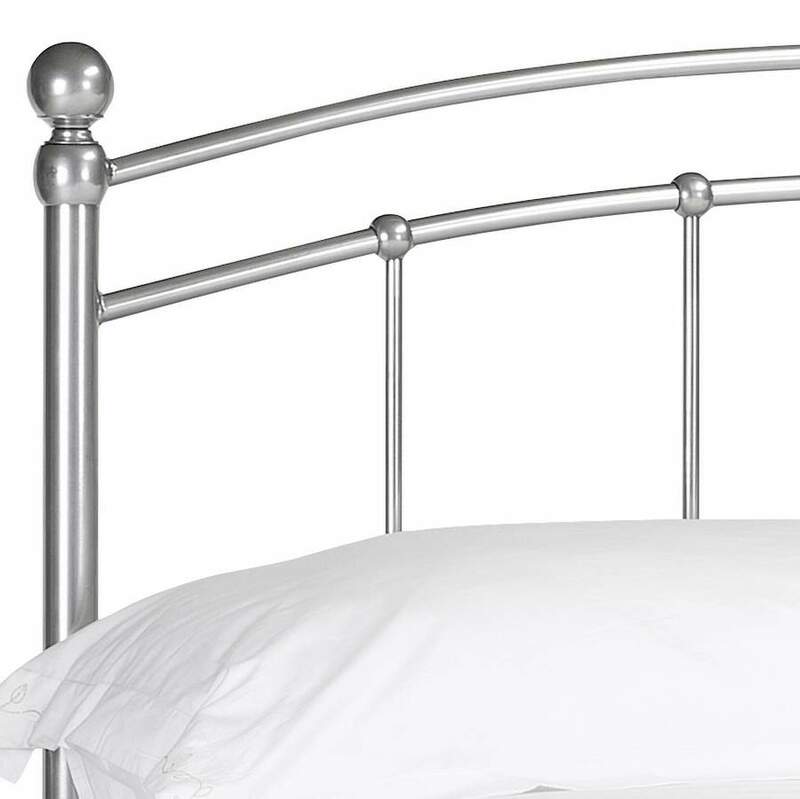 Classic design with a modern twist that suits most bedroom interiors. 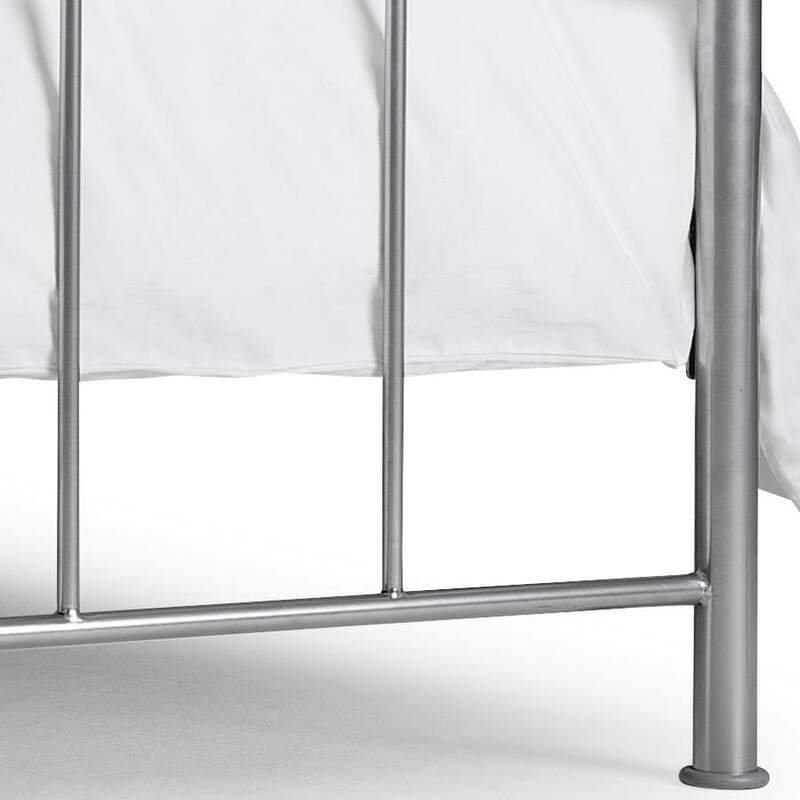 Mainly constructed from powder coated steel with a wooden sprung slatted base. 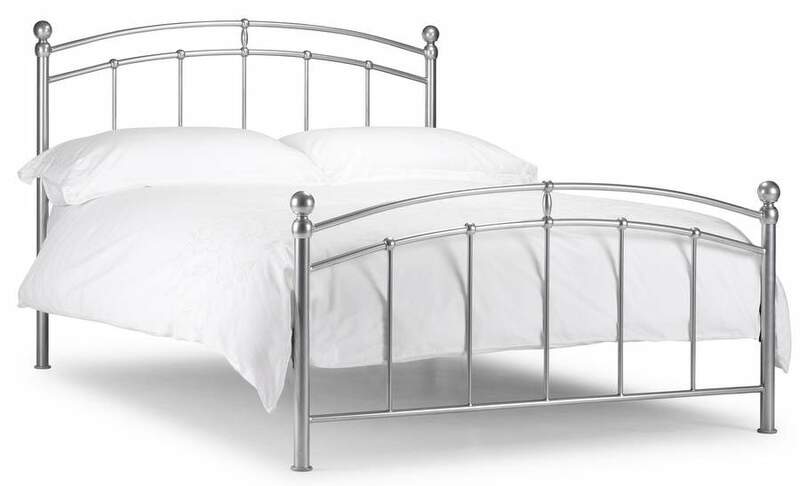 Fits a standard UK King-Size 150 x 200 cm mattress available separately.